Cheryl here , I have been absent for a little while , as I have been moving house, wow what a stressful time it has been! 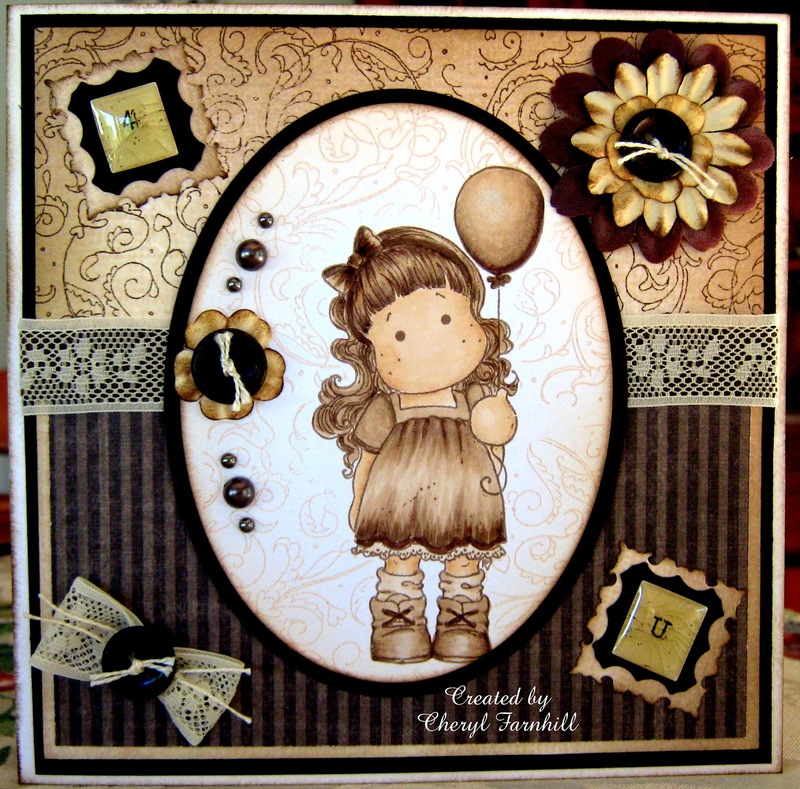 I have coloured Tilda in sepia tones to match my DP from Becs Online Store , Bec has loads of new stuff coming in , so jump over and check out the store. Then get cracking on your Vintage creations, because you could be the lucky winner of a fabulous Cheery Lynn Designs Die.